Armored Sealcoating is the premier choice for commercial seal coating and asphalt maintenance services in Kenosha County and surrounding areas. Applying a 2 coat application on every job, we can promise results of long term sturdiness and quality. Get a Free Commercial Sealcoating Quote! Our Main Objectives: Low Cost, Shielding, Restoring, Sealing. We help to reduce maintenance costs significantly by a quality job well done and double application. Our goal is to extend the life of your Asphalt. We use top notch materials and processes to help shield against the drying and discoloring effects of UV rays. We also maintain resistance to gasoline and oil spills, sand, salt, water, ice and chemicals. Our commercial and residential asphalt seal coating services restore your asphalt to the attractive black satin finish as if brand new again! Our seal coat seals porous asphalt against damaging elements and erosion. We slow the course of deterioration and protect your asphalt investment. Initial seal coating and resealing every 3–5 years – our services are that good. Using the right sealants and application technique, you’re asphalt will need to be resealed less often; making the most of your investment. Crack filling – cracks in your pavement will grow increasingly worse if not repaired. Call Armored after cracks appear so we can fill them before the base of your asphalt is effected and you face worse problems, like pot holes or repaving. Damaged asphalt patching – if the cracks in your driveway do become pot holes, Armored can still help! We’ll patch any asphalt that’s too damaged to be repaired with crack filler. Pavement Striping – we’ll stripe your pavement as desired; whether it’s a school, store, or office. Pavement striping is an important aspect of commercial asphalt maintenance. A cost-effective solution to controlling your parking lot traffic, our pavement sealing contractors will help maximize the use of your space. 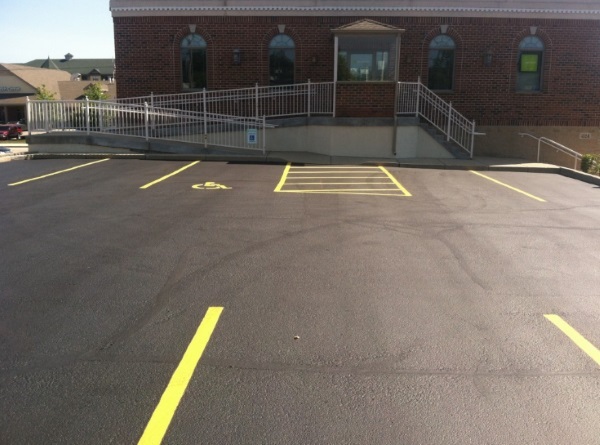 We use the highest quality products to paint stripes and lines for parking stalls, handicap and reserved parking spots, and any emergency lanes you may need as well. 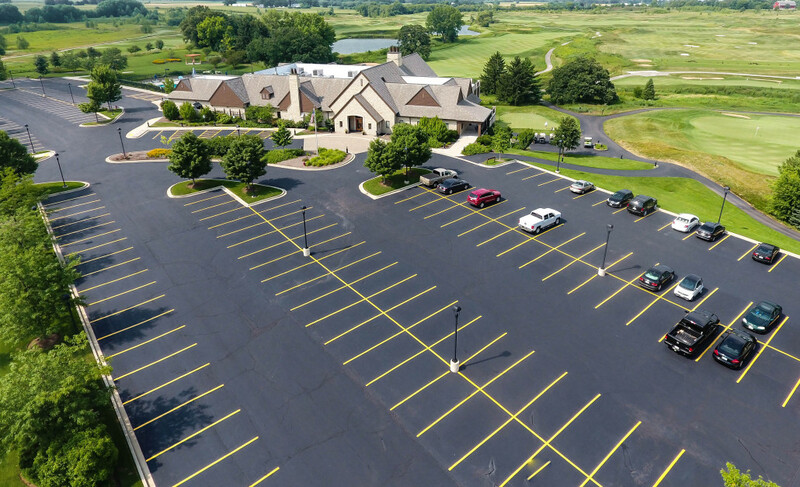 Armored Sealcoating works with businesses large and small across SE Wisconsin & Northern Illinois; and has sealed driveways and parking lots for commercial and industrial facilities alike. We pride ourselves on a job well done and never cut corners on the products or application techniques that we use. So whether you’re looking to get your parking lot in Waukegan striped or office driveway seal coated in Pleasant Prairie, Armored is the best choice! Prolong your asphalt’s life; get a free quote from Armored Sealcoating. Contact Armored Sealcoating for quality and cost efficient Commercial Seal Coating in Kenosha, Racine and surrounding areas today.